Authentic 18th century guttering was sourced for this building of significant cultural heritage. Sissinghurst Castle is home to a world renowned garden created by the poet and writer Vita Sackville-West and her diplomat and author husband Harold Nicholson. 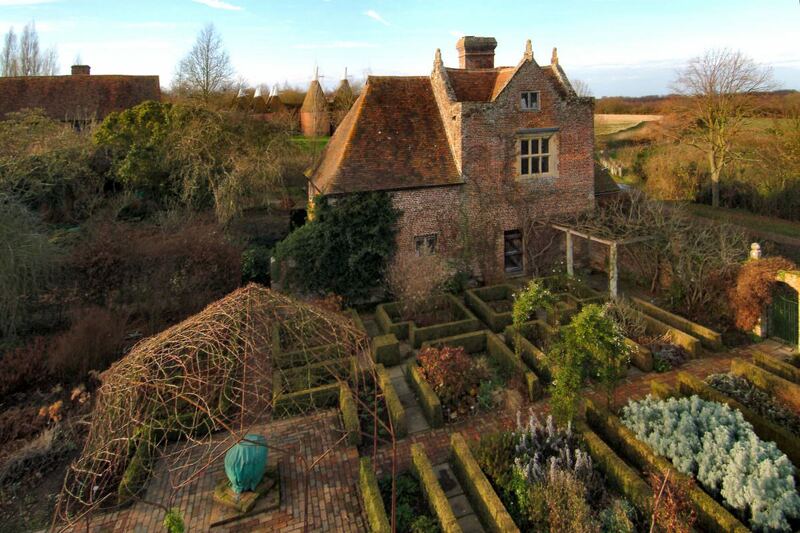 Our works, on behalf of the National Trust, to The Priest’s House at Sissinghurst Castle involved repointing of brick-laid paths and walls so visitors can continue to enjoy the colourful planting by Vita that are said to reflect the romance of her poems. Works to the Priest’s House involved a variety of repair and restoration measures including re-roofing, repointing, leadwork repairs and replacement. This involved careful sourcing of roof tiles and authentic 18th century guttering for this Listed Building on behalf of the National Trust. Completion of the works has helped The National Trust safe guard the buildings within Sissinghurst Castle for the enjoyment of future generations.